English asparagus, nothing quite like it! 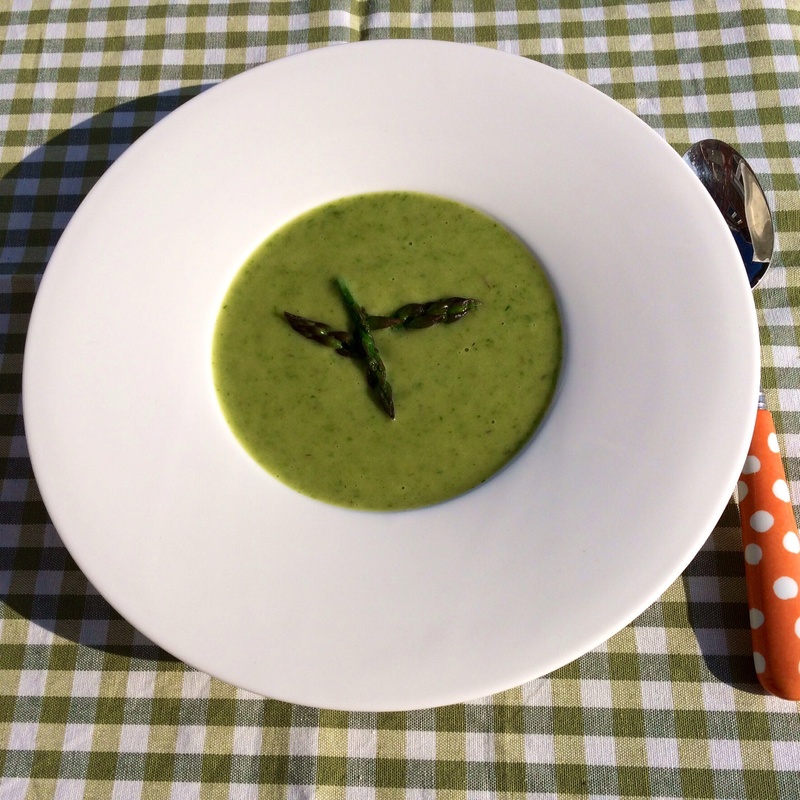 This is a lovely bright fresh green soup, easy to make and delicious to eat! 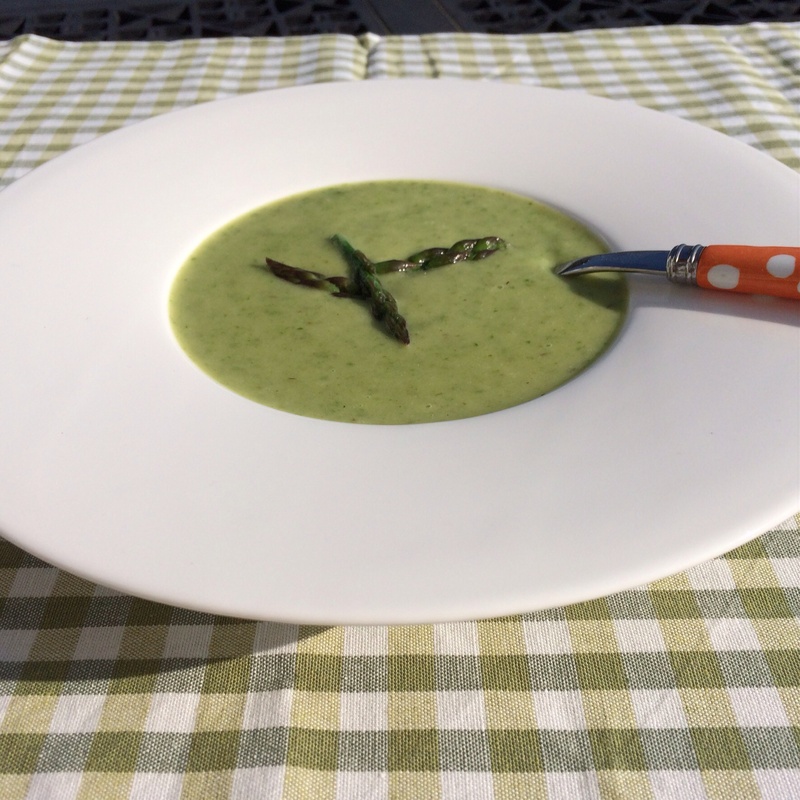 I’ve been to Borough Market today, St George’s Day, and bought fresh English asparagus, so what better than to make a delicious soup tonight! 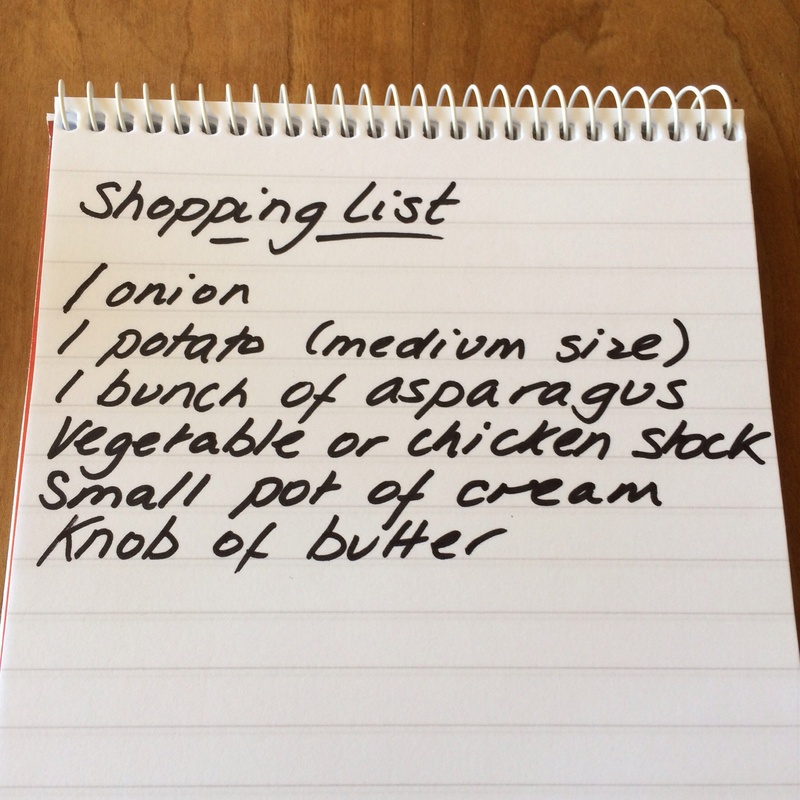 Boil your kettle and make up the vegetable stock. Melt the butter in the pan and add the chopped onion and peeled and chopped (into small pieces) potato. Gently stir for a few minutes until the onion is softened. Add the stock and gently simmer until the potato is soft. Snap off the tough ends of the asparagus and cut the rest into chunky pieces. Add to the pan. Simmer til the asparagus is tender but still green (a few minutes). Snip off a few of the asparagus tips to decorate the soup. Blend and add a 100 ml of cream, and stir to combine. Taste and season if necessary. Delicious – and very good with a cheese scone!